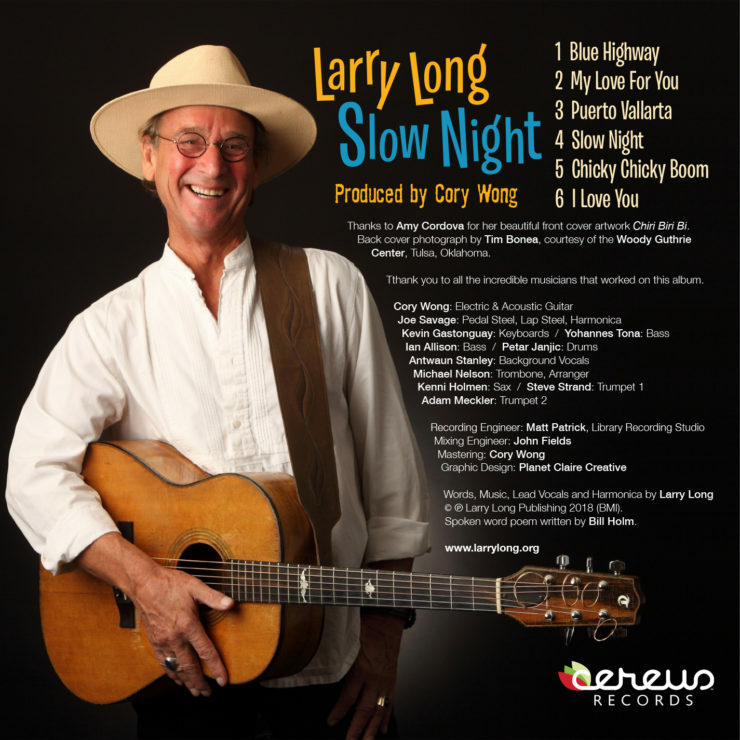 Slow Night by Larry Long was produced by Cory Wong, recorded at The Library Recording Studio under the guidance of Matt Patrick and mixed by John Fields (Miley Cyrus, Switchfoot, Jonas Brothers, Pink, and Demi Lovato). © ℗ Larry Long Publishing 2018 (BMI).Thanks to Amy Cordova for her beautiful front cover artwork Chiri Biri Bi. Spoken word poem on Blue Highway written by Bill Holm.